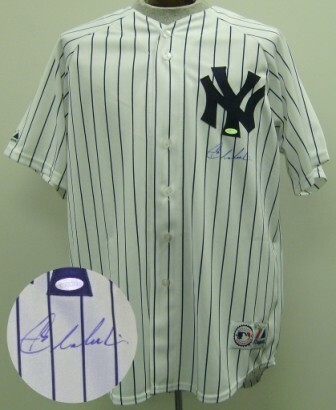 This Majestic New York Yankees jersey has been signed by rookie Joba Chamberlain. Chamberlain has been a solid contributor to the Yankees' bullpen in 2007, and has helped keep New York's playoff hopes alive. The jersey was signed during a private signing with Steiner Sports, and includes a Steiner Certificate of Authenticity.